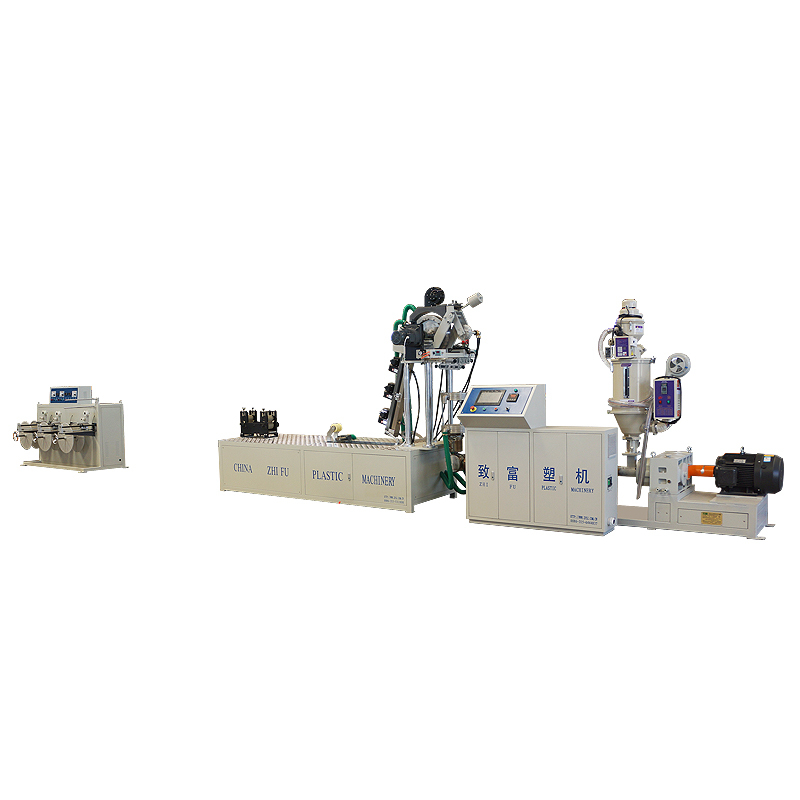 Extruders and traction machines are all equipped with variable frequency control systems. They are easy to adjust, reliable in operation, stable in operation and low in energy consumption. Extruder screw structure adopts special design, plastic material has good plasticization effect and stable production. 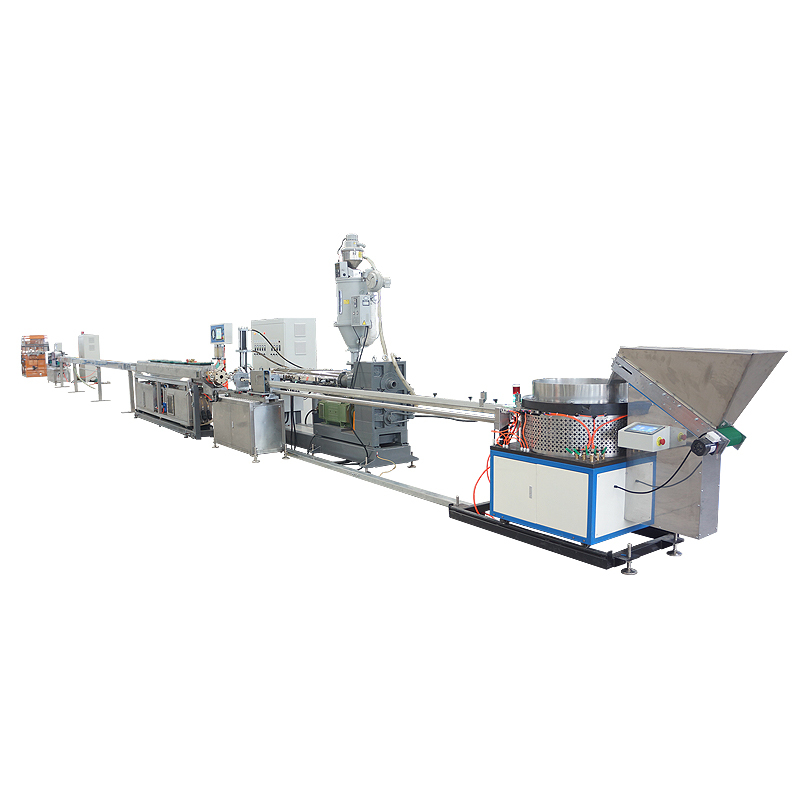 Extruder and die adopt automatic temperature control system, high precision of temperature control, and obvious energy-saving effect. 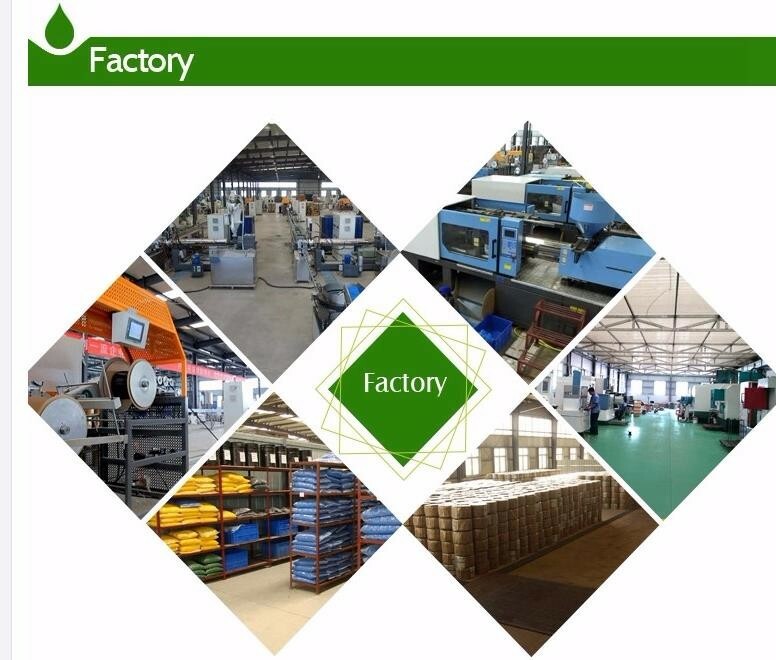 Unique vacuum control device, accurate vacuum control, micro-pipe diameter error is small. The distance control device adopts servo motor control, which has high control accuracy and small position error. The punch punch is made of special steel and has a long service life. The punching machine adopts advanced servo unit control, man-machine interface operation, high punching precision, small error of outlet hole pitch and high degree of automation. 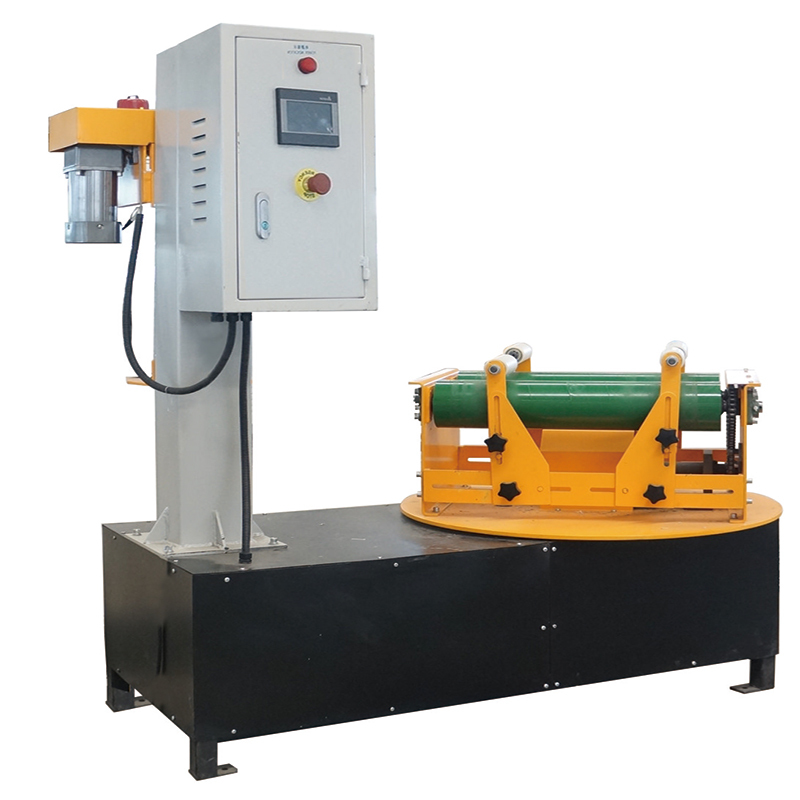 Duplexing winder makes the change roll convenient and quick, and has meter counting device. 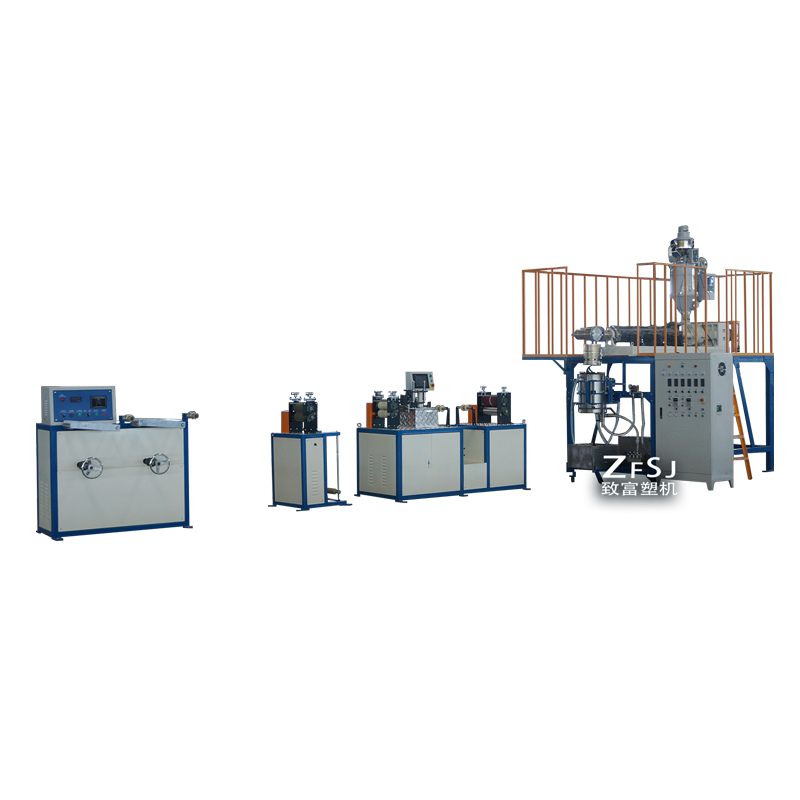 The winding length can be set by itself (≤ 200 meters), and the alarm will be given after reaching the set length. 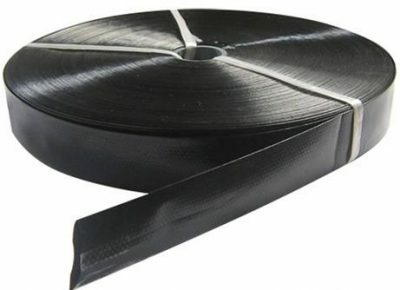 Micro-spray belts, also known as water spray belts, spray irrigation belts, porous tubes, and micro-spray irrigation tubes, are directly processed into groups of water outlet holes on a flattenable plastic hose to perform drip irrigation or micro sprinkler water-saving irrigation equipment. 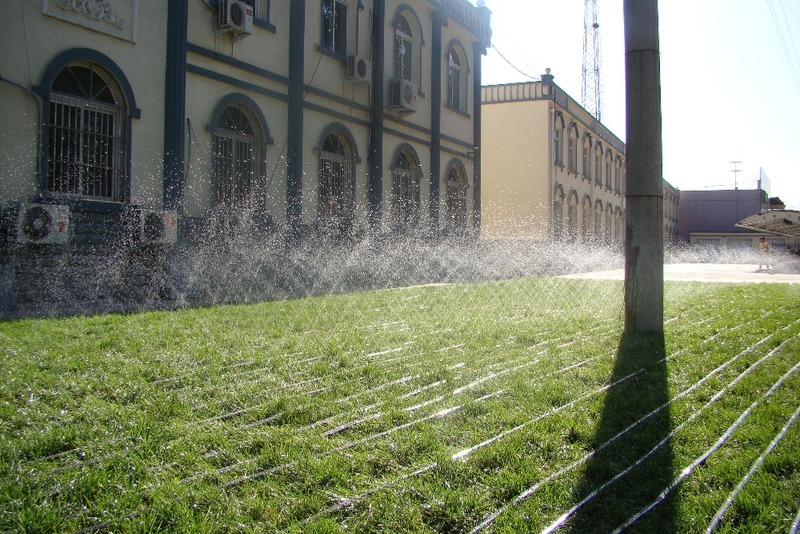 The micro-spray tapes of 3 outlet holes, 5 outlet holes or more outlet holes of each group are directly laid on the ground, and the water jets are sprayed to a high place under the pressure and sprinkled down to form a micro sprinkler effect similar to drizzle. 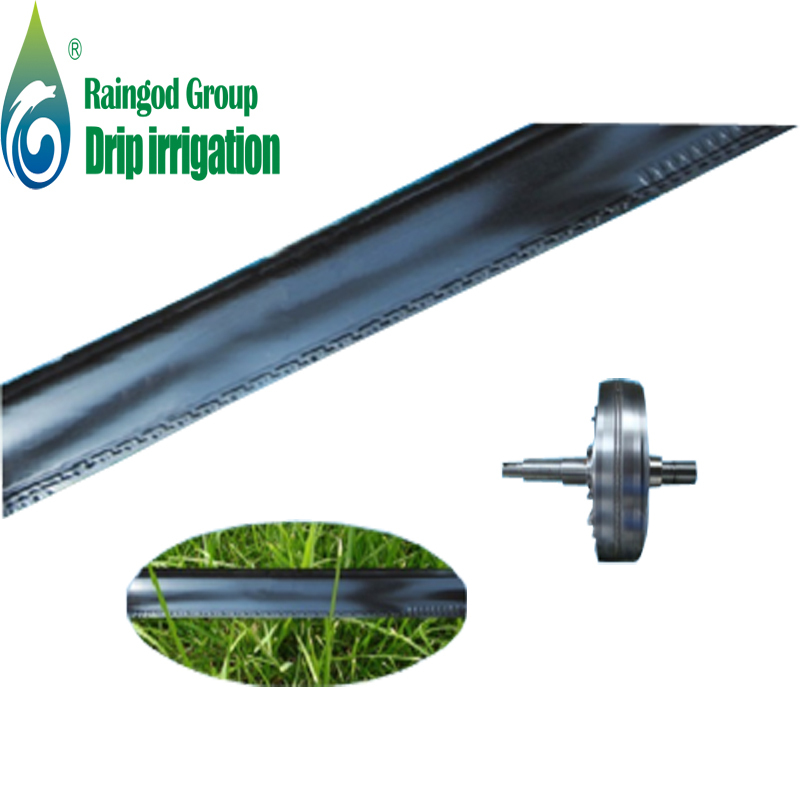 As one of the products for water-saving irrigation, the micro-spraying belt can have a spray width of 2 to 6 meters depending on the specifications and water pressure. 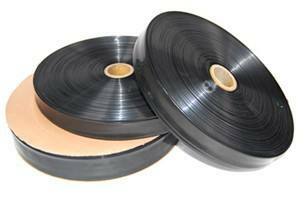 It is mainly used in lawns, shrubs, forests, grass gardens and greenhouses. The orifices are in the form of single holes, and the special size can be customized.